It is hard to believe that Easter is so early this year! This is the one time of year that my sweet tooth really gets a craving! My favorite candies are the Cadbury Eggs filled with caramel. Last week I was off to the store to stock up on these once yearly offerings. While there, I love exploring all the new and creative candies that hit the shelves. Did you know there is such a thing as edible Easter grass?! Wow! That is all it took to inspire me for my latest HGTVGardens post. 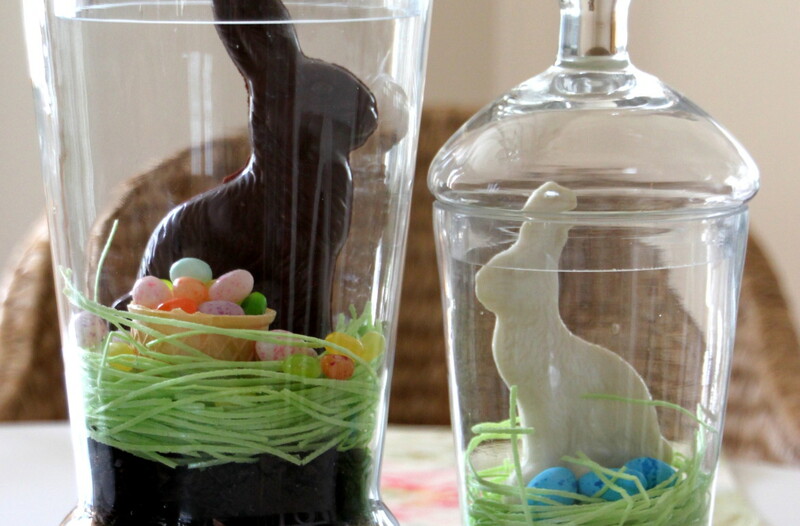 These sweet Easter terrariums are entirely edible! Take a peek and get creative. The kids had a blast making these this past weekend.